We seek to renew cultural birth knowledge to empower and reclaim indigenous sovereignty of women's medicine through women's stories and life ways." ​Our vision is to be accountable to our diverse indigenous communities by honoring cultural protocols and offering guidance and direction for culturally-centered programming with foundation in core values. ​To honor all our relations through language, land, ceremony, and traditions; with humility, responsibility, fortitude, compassion, generosity, and respect. Changing Woman Initiative is seeking professional women who are willing to volunteer at our CWI Office in Santa Fe, NM. We are not yet looking for volunteers for the birth center as it is not built yet. Coming Soon! Changing Woman Initiative was dreamed up by founder Nicolle L. Gonzales, Navajo Nurse-Midwife, following years of working as a midwife in her community and seeing many Native American women struggle with navigating western medical healthcare systems that did not center them. She saw assimilation practices-from birth on-impacting Native American family’s ability to bring their loved ones into this world in a culturally supported and ceremonial way, that represented the community they came from. ​Since 2015, we have been growing public awareness around the overlooked issues of Native American maternal health and the lack of Native American/ Indigenous representation within midwifery in the United States. 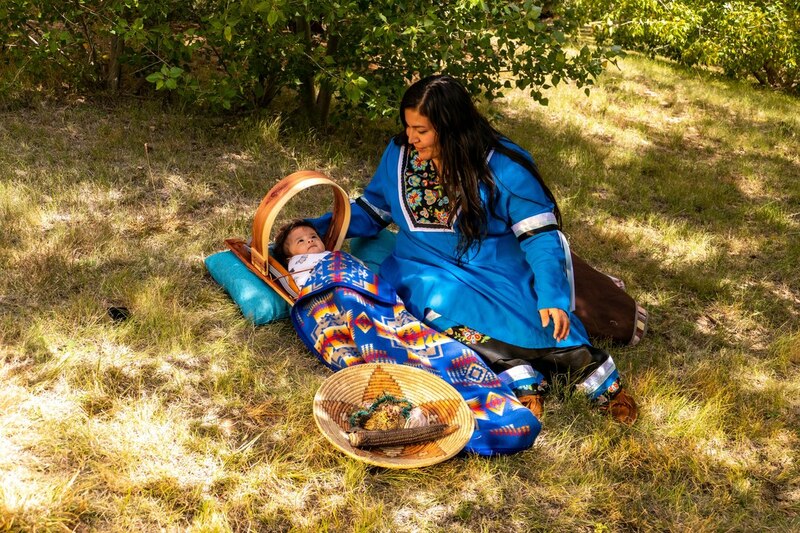 We became a 501c3 non-profit in the spring of 2018 following a 12-month strategic planning process and digital storytelling project, where we engaged with Native American women, families, midwives, doulas, and elders to discuss effective sustainable ways for Changing Woman Initiative to ensure access to decolonized Indigenously centered, accessible healthcare and traditional childbirth options for Native American women.